Newcomer Family Obituaries - Robin Kelly Dallas 1964 - 2019 - Newcomer Cremations, Funerals & Receptions. Dallas, Robin K. "Robby" age 54, of Reading, Ohio passed away on Monday, January 28, 2019. He was born in Cincinnati, Ohio on March 3, 1964 to the late Lowell W. and Joyce Ann Dallas (nee Heller). 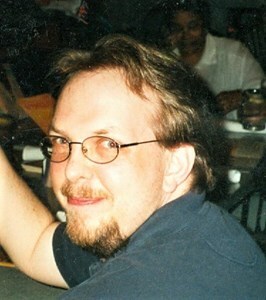 Robby is survived by his siblings, Marcus M. Dallas, Kimberly (Anthony) Carberry, Tracy Dallas, Kevin A. (Mary) Dallas, and Patrick S. (Rhonda) Dallas; many nieces and nephews; and a host of other family members and friends. Robby was a private person but knew the value of family. To share a memory of Robby or leave a special message for his family, please click the Share Memories button above. Add your memories to the guest book of Robin Dallas. I never actually met Robin since we were different shifts but I did talk with him many times. He was funny, smart and good at his job. Robin will greatly be missed. My condolences to his family, friends, and coworkers. RIP, MY DEAR FRIEND, ROBIN. We shared a lot of sports talk at work and I really enjoyed your knowledge of the game. Blessings to your family. Rob, you will be missed. He was a great kind hearted young man. He always had a way to make me smile. Whether it was his jokes or his way with words. He loved life and with a great sadness I say RIP ROB. Prayers for his family. So sorry for your loss. Rob was a good man who I enjoyed working with.